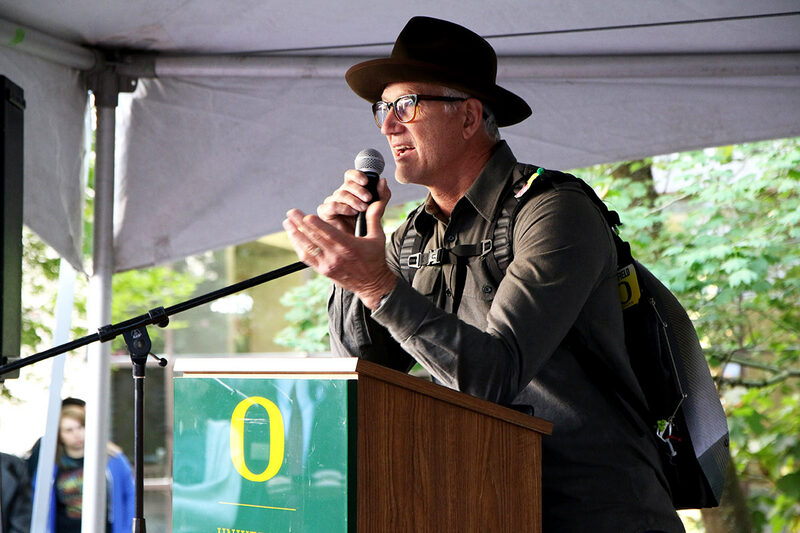 Tinker Hatfield, a name synonymous with innovative shoe design, is expanding design thinking across disciplines with his new gift to the College of Design. The inaugural Tinker Hatfield Award for Innovation will make possible two groundbreaking projects. One project will focus on Portland’s historically African-American neighborhood of Albina, and how to preserve cultural heritage in the face of gentrification and development. The other project will investigate how to design spaces and products for healthy aging, focusing on an older demographic. Hatfield—an architecture graduate of the Class of 1977, renowned designer of Nike’s Air Jordan, and Nike Vice President for Design and Special Projects—made this generous gift to spur innovation at the College of Design. Each year, at least one award of $25,000 will be designated for a project within the college. The award will provide support for the creation and delivery of a major innovative and interdisciplinary design project. The 2018 selection committee considered projects through the lenses of innovation, disruption, dissemination, collaboration, interdisciplinarity, and inclusion, while also involving students. Dean Christoph Lindner made the final determination after receiving the committee’s recommendations. In the 1960s, Portland’s Albina neighborhood was home to 80 percent of the city’s African-American population. As of 2010, that number sank to 28 percent. The story of Albina’s disappearing black community is a common American tale of gentrification, increased housing costs, and discriminatory urban renewal and housing policies. The Albina African-American Cultural Heritage Conservation Research project, led by co-principal investigators James Buckley (Venerable Chair and associate professor of Historic Preservation in the School of Architecture & Environment) and Eleonora Redaelli (associate professor in the School of Planning, Public Policy and Management), will investigate the Albina case with the goal of creating a model for minority communities to develop their own strategies for strengthening their cultural heritage. “We see the project as an effort to build a prototype for using design thinking to address issues of inequity and displacement in minority communities,” wrote Buckley and Redaelli. 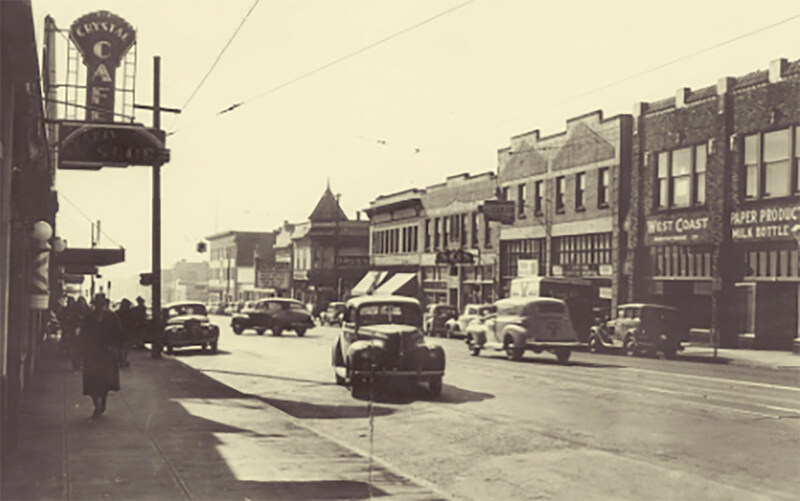 The Albina project will focus on conservation districts, design guidelines, and planning policies that would help preserve the historic character of the neighborhood, interpretive materials including signage to illustrate the history of black culture in Albina, arts activities and events to activate the space and engage the community, and the possibility of a historic designation. The project will include classes and workshops with research partners, topic experts, and community members. “Our work in Albina is intended to develop tools that can be employed to assist other underserved communities in Oregon and elsewhere, including Latinx, Asian-American, Native American, and queer populations, to strengthen their community bonds using their own heritage,” wrote Buckley and Redaelli. Principal investigator Susan Sokolowski (associate professor of Product Design and Director of the Sports Product Design Program) will lead the team for Universal Design for Healthy Aging, which focuses specifically on mobility, metrics, and memory. The team seeks to augment the health of this population by working across the disciplines of product design, architecture, interior architecture, and art. “It’s a great honor to be a recipient of the award,” said Sokolowski. Traditionally, Sokolowski said, the 65-and-older generation (which currently makes up 13 percent of the U.S. population, a number expected to double in the next decade) is underserved in these areas. With this award, the project will offer a Winter Term 2020 course for students from different disciplines. Students will have to apply for the course, and then they will work with faculty to develop art, products, and interiors tailored to this population. Sokolowski explained the importance of students seeing collaboration across fields: “We get so focused in our discipline we forget that other people provide a different eye to the work.” She also says that designing for an aging demographic will provide many opportunities to students for future work in the field, while also emphasizing empathy in design. There will be a juried exhibition at the White Stag Block during Design Week Portland and a second exhibit will show in New York City. Lastly, there will be a Healthy Aging Symposium hosted in Portland. “The work we do in the College of Design could really affect these populations,” she said.